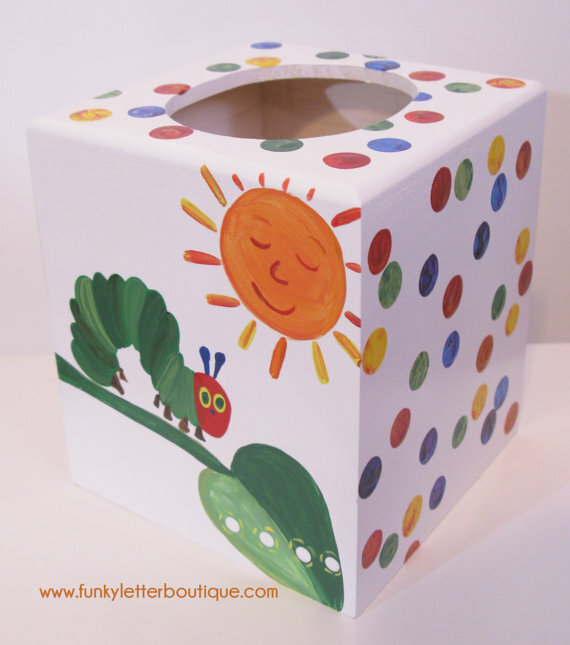 Adorable hand painted Very Hungry Caterpillar tissue box cover. Add the perfect personalized touch to your Very Hungry Caterpillar room! This tissue box would also make a very special Teacher appreciation gift! We know they all have stacks of tissue boxes, they go through, why not help them dress those ugly boxes up!